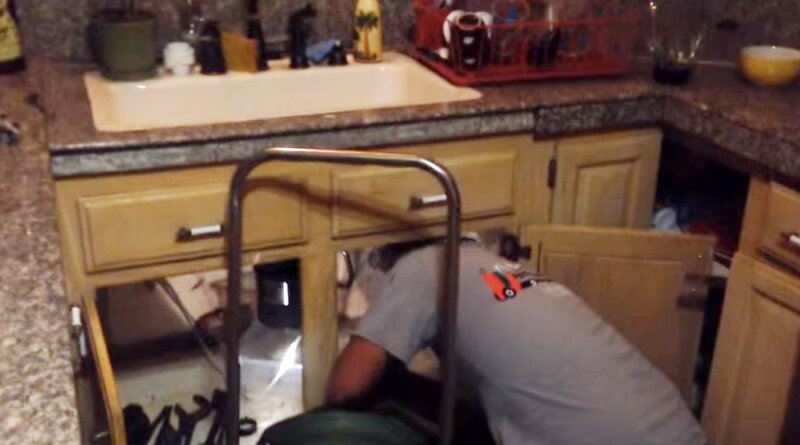 If you are a home or business owner in Granada Hills, California, and have an elderly or temperamental plumbing system on your hands, you may be in need of a professional drain cleaning service from The Rooter Drain Expert Inc. Even without a plumbing problem, you may consider having regular cleanings performed as a matter of routine building maintenance; most professionals suggest ordering a cleaning annually to keep plumbing at peak performance. What is included in a drain cleaning? A professional drain cleaning from The Rooter Drain Expert Inc. begins with a routine sewer camera inspection. A small, high-definition camera is sent into your pipe, allowing our seasoned technicians to examine your pipe system from the inside, locate the problem, and decide how best to address it. Depending on the issue, your drain may be professionally “snaked,” with a clog being removed, or hydrojetting may be utilized. Hydrojetting involves forcing a jet of water at high pressure into your pipe, which breaks up and washes away debris such as small to medium-sized tree roots and strips off coats of kitchen grease. As with all services provided by The Rooter Drain Experts, drain cleanings are “trenchless” – they require only a small access point to reach your pipe, rather than the traditional method of digging a trench under foundations or in your yard to reach pipe sections. This cuts down on mess while drastically reducing job times! It’s important to address these issues as they occur. Raw sewage pooling in basements or backyards, toilets and plumbing that cease to work altogether, flooding and extensive water damage, or shattered pipes could become an unpleasant reality if signals are ignored or drains are not maintained on a regular basis. Even without indicators such as the ones listed above, regular cleanings, complete with a sewer camera inspection, will identify and forewarn home or business owners of potential plumbing issues, preventing an expensive surprise. Place hair traps over shower drains and food traps in kitchen sinks. Dispose of kitchen grease in the trash, not into your drains. Try freezing it in disposable containers, then taking it out with the rest of your garbage. Don’t place wet wipes, food, feminine products, or any other debris into plumbing or drains, even with a sink disposal. Don’t use commercial drain cleaners. They are ineffective for all but the smallest clogs, and even if they say “drain safe,” they can corrode pipes, leading to more damage. If you would like to learn more about drain cleaning services in Granada Hills, contact The Rooter Drain Expert Inc. today. Your satisfaction is our guarantee! If you are a home or business owner in Granada Hills, California, and have an elderly or temperamental plumbing system on your hands, you may be in need of a professional drain cleaning service from The Rooter Drain Expert Inc. Even without a plumbing problem, you may consider having regular cleanings performed as a matter of routine building maintenance; most professionals suggest ordering a cleaning annually to keep plumbing at peak performance.